It is the game of the moment without a doubt. It has made millions of people play around the world. 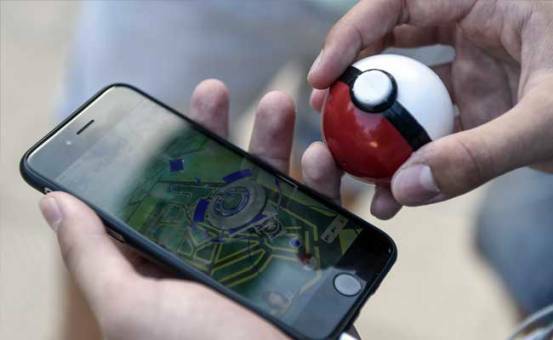 Pokemon Go has caused a sensation since leaving in the United States, Australia and New Zealand. But why has this game made such an impact on users? Unlike traditional games or popular applications to play from your mobile phone, Pokémon Go is played in streets, parks or squares. It encourages players to go out into the real world to explore and catch the pokémons that are hidden in these places. This augmented reality game has used real-world locations such as New York, Paris or the Japanese regions of Hokkaido and Kanto as a source of inspiration to create the fantastic settings in which they develop. Although this novelty may seem attractive, this is the generation of accidents and other disputes. As the player moves, the mobile will vibrate to warn you that you are near a Pokémon. This is achieved thanks to the GPS system of the phone and the clock, to detect where and when the user is to make ‘find’ a creature of the game. The more the player moves, the more types of characters they are going to see. This form of play, known as augmented reality, is one of the keys to the success of the game. The ‘app’ can be downloaded for free in the App Store and on Google Play. However, as in every game that is worth, if the user wants to improve the experience and to choose more functions, you can buy them in the application. The real money will be Pokemon, which can be exchanged for upgrades and extras. The app will feature a device that will allow players to enjoy the game when they are away with their mobile phone. It connects to the mobile phone through ‘bluetooth’ and, through an LED and vibrations, notifies the player of what happens in the game. In addition, players can catch pokémons simply by pressing the button on the device. When encountering a Pokémon, the user must launch his ‘Poke Ball’ to catch him. The more you catch, the more technical levels will get. You can also search for ‘Poképaradise’, located in interesting points such as museums, historical places of the cities or emblematic monuments where to collect poke balls and more objects like Pokemon eggs that will be able to hatch while you continue playing. The more levels you get the more powerful objects you get. It is also likely that many types of Pokémon only appear in their environments, for example, the water type may only appear in places near lakes, seas or rivers. The player can change the appearance, choosing different garments and accessories to give a special look and own. The avatar will appear when the user walks around the city and the other players will see your avatar when they visit your gym. Pokémon Go is based on the fantastic creatures that were popularized in the 90s with the famous series of cartoons. Although in the saga there were more than 700 creatures, at the moment in the game only 150 can be found. At some point in the game, the user must join a team where they will have to choose a character to put him to fight in a ‘gym’. All members of the team must train to win the fight and fight to gain mastery of the gym. If the player wants to take a picture of the Pokémon, it can do so by connecting the camera function. The photo will be saved in the phone gallery and can be shared on social networks. The well-known melodies of the series of cartoons were composed by Junichi Masuda and now it returns to tune to the game.